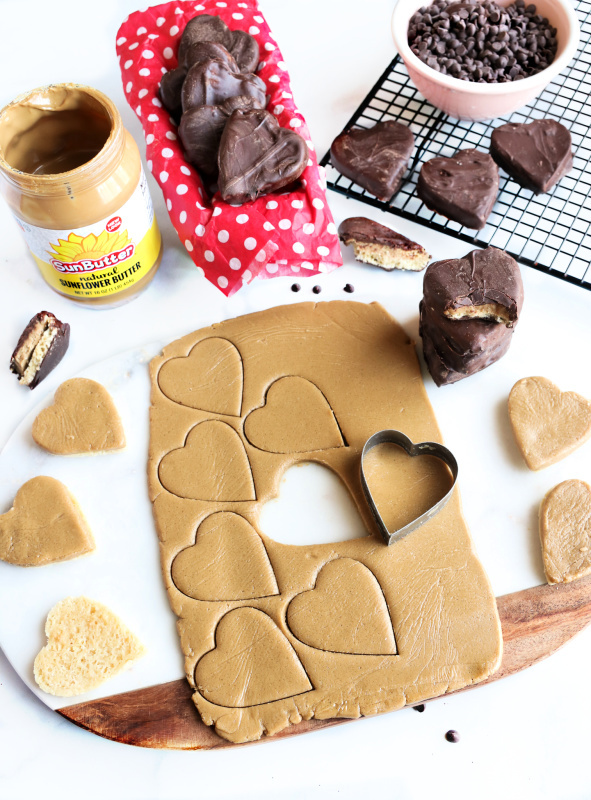 Valentine’s Hearts are inspired by all the thing I love ❤️Chocolate, SunButter, cookie dough and sugar cookies – do I need to say more? 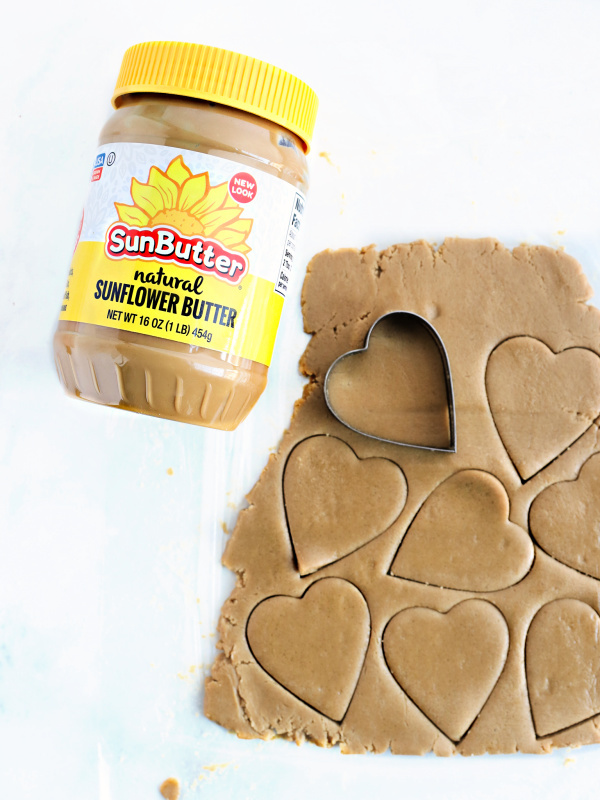 We’ve been getting ready for Valentine’s Day with some delicious new recipes on the blog, like our SunButter Fruit Dip (perfect for any celebration) and those Molten Lava Cakes….YUM! Allergy friendly tagalong cookies are the perfect treat to bake at home! 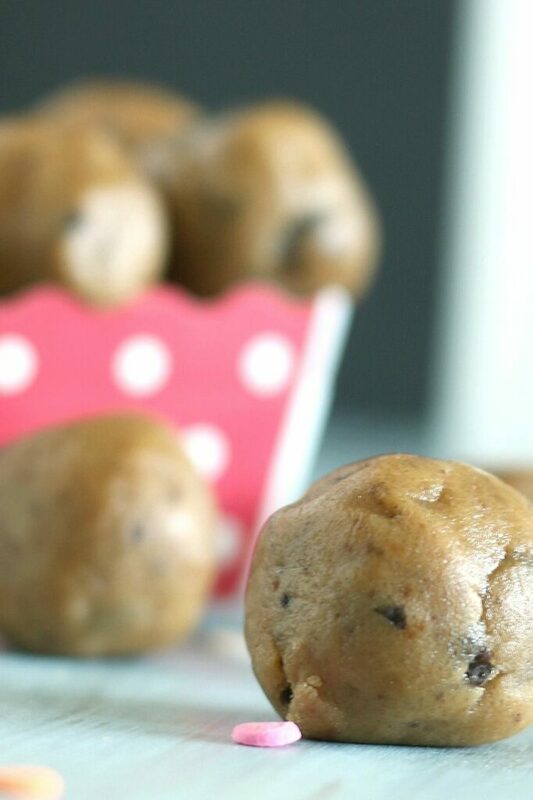 These tasty cookies are nut free, gluten free, and vegan! Plus, you can easily adapt the recipe to practically any other holiday by changing the shape of your cookie cutter. 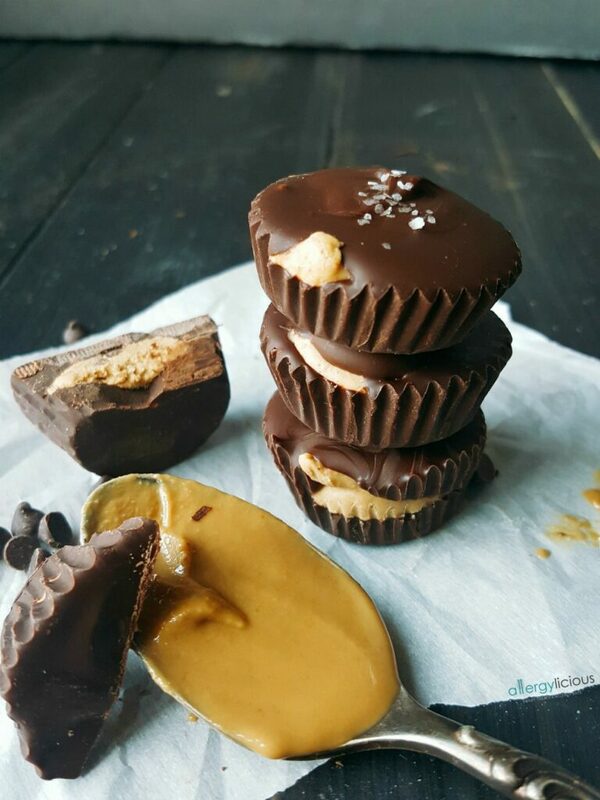 This recipe came about after making several cookie dough creations (Chocolate-Chip Cookie Dough Easter Eggs , Cookie Dough Cups) and wanting to use SunButter as a base. So after a little work in the kitchen, this amazing, eggless, nut-free, gluten-free dough was created. And while you could totally just eat it straight from the bowl, it deserved something more. It deserved to be layered on top of a crispy sugar cookie and covered in chocolate. While these cookies are not difficult or challenging to make, they do require some assembly, so it’s a great weekend project or treat to make when you’re stuck in your house due to bad weather. From rolling, cutting & baking the sugar cookie, to making your SunButter dough to dipping it all chocolate, it’s a few steps but the payoff is well worth it. 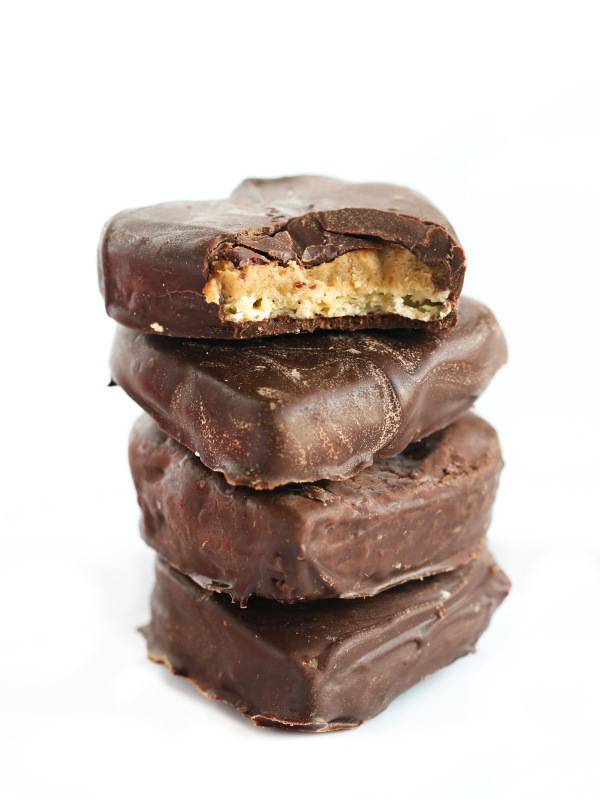 HOW DO YOU MAKE THE BEST TAGALONG COOKIES? 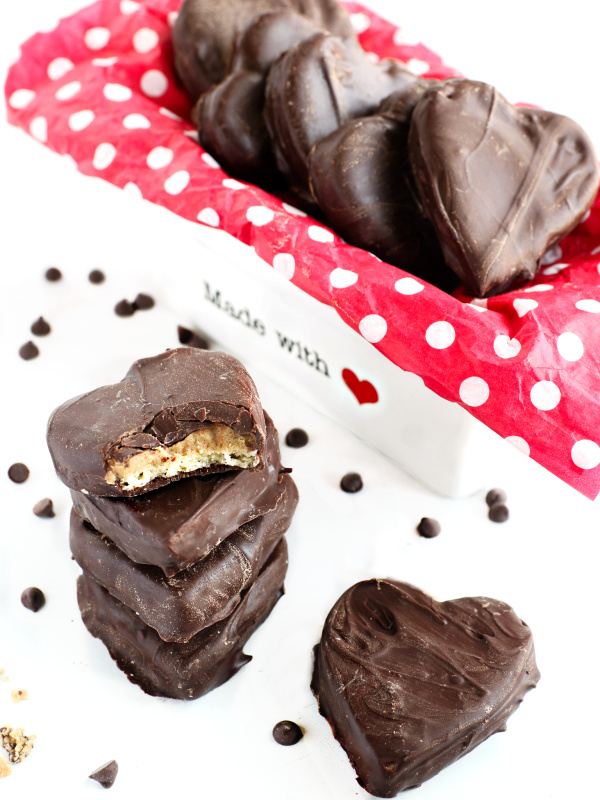 The bottom layer is the cookie layer: a light & crispy, sugar cookie – cut into heart shapes then baked to perfection. 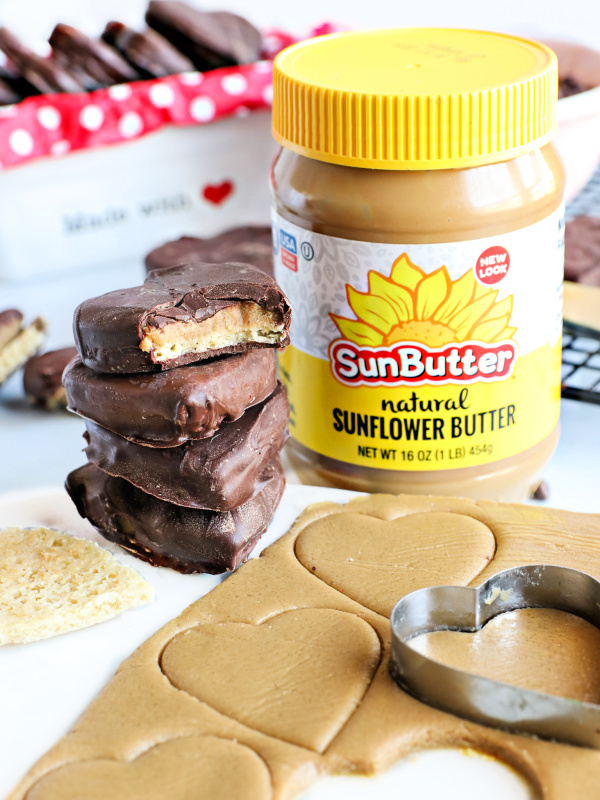 The SunButter cookie dough layer just makes these cookies. Creamy, smooth, Natural SunButter, vegan butter, powdered sugar, and vanilla gets mixed, rolled out and cut into hearts as well then placed on top of baked cookies. The chocolate. Obviously, a copycat tagalong needs chocolate. I tempered vegan milk chocolate chips and I added some shortening for three reasons: so the chocolate would melt easier, it would spread easier and it so it wouldn’t melt when taken out of the fridge. Mission accomplished! Adaptable (change it shape, omit the sugar cookie, switch it to a shortbread cookie base or change out the type of SunButter you use). OH my goodness. I want to eat like a DOZEN of these. I haven’t had Tagalongs in forever! Me either…it’s been a long time but you’ll never miss them again. 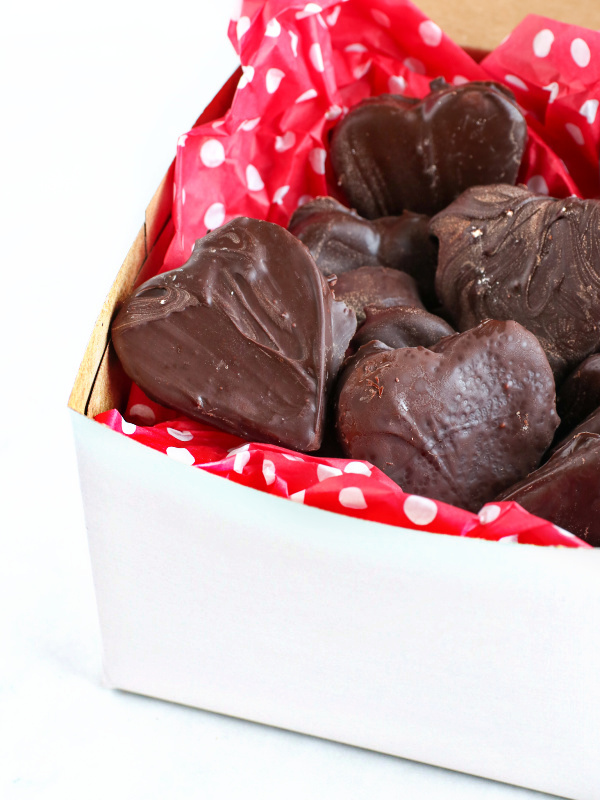 My kids would love this for V-day! YES! 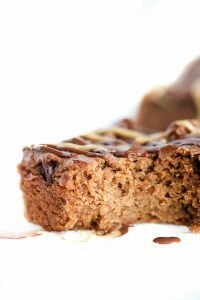 I have a recipe for this but using pre-made cookies because, let’s face it – I rarely bake – but these look really easy! Nothing wrong with that and a great option for others too! These look amazing. 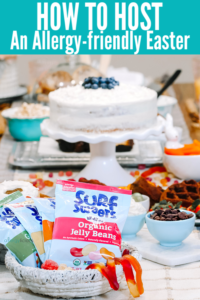 Love that you included SunButter as well – my fave! Be still my beating heart! 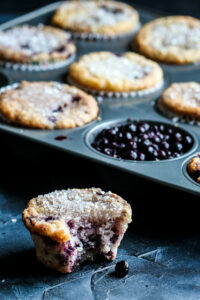 Am pinning immediately and can’t wait to make a batch or three! Wow, these sound so fun and delicious! I love all of the different layers and ingredients! 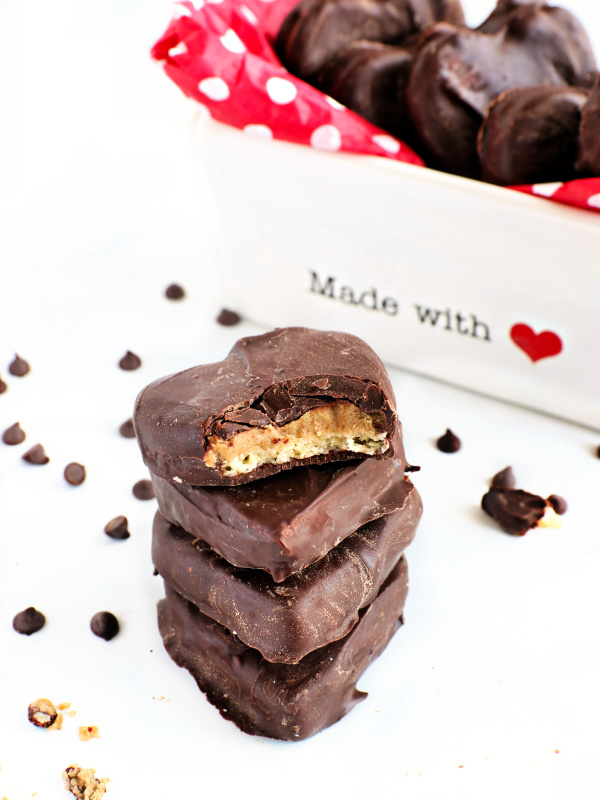 These tagalong cookies are calling my name! 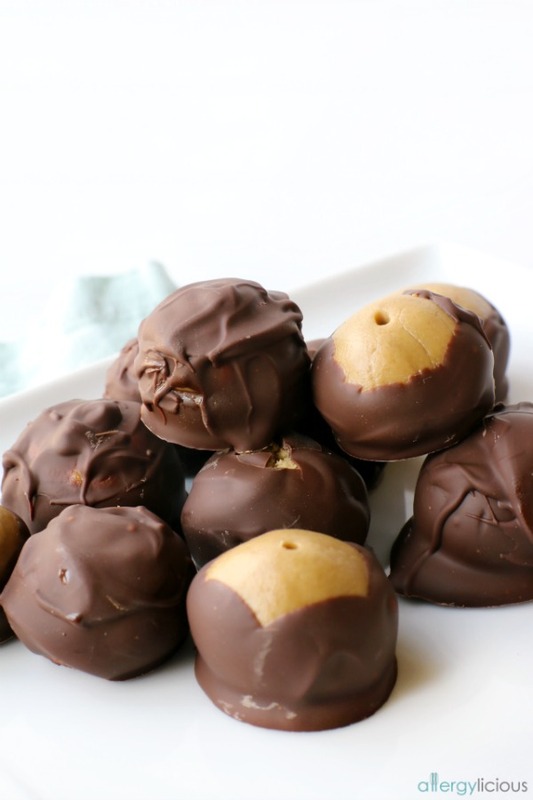 Definitely a must make treat!